A long time ago I mentioned about several free and responsive HTML5 WordPress theme frameworks. But a few months ago another free WordPress theme framework launched called “Skin” packed with all the features you expect from a premium quality theme. Don’t believe me take a look at the theme demo page – Skin demos. Skin offers more than nine layouts featured on the demo page, as you change the combination of post & header designs. This framework is developed by Kaludi brothers who founded Magazine3, a premium WordPress template marketplace. 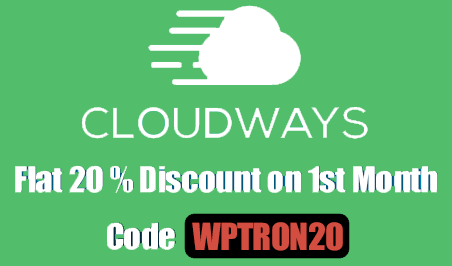 Thank you both for giving away one of the best gifts to WordPress users community. Ahmed Kaludi mentioned this gift as gratitude towards the community. Check their blog post Gratitude . I’ve used this theme for one of my projects and will share the experience. First, I’ll start with the looks and customization options. 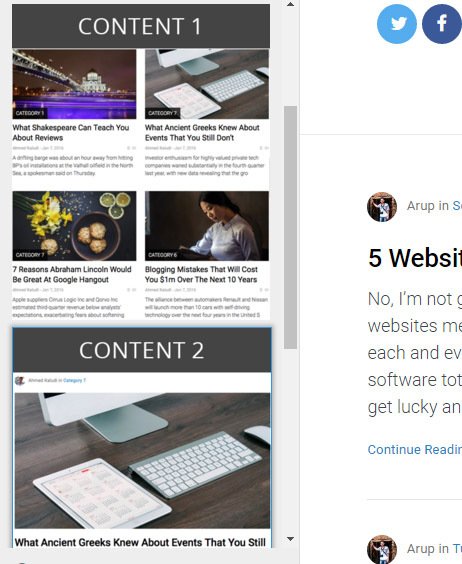 As I’ve already mentioned earlier, more than nine different layouts are possible using four different header styles and three different content area layouts. All of the customization options are available in the default WordPress customizer in a well-organised manner. Other than the appearance setting there are some other useful customization options available like typography, colors, feature post slider layouts, custom css, Google Analytics code box and more other available. Under the site identity tab, you can add logo image, site title & description along with app icon for mobile devices. Other than these customization options you can do a lot of things like change the color scheme, add background image/pattern, change font style and more directly from the conventional WordPress customizer. I’ve tested this theme in one of my blogs and the speed test results were pretty good from both Pingdom & GTmetrix. The number HTTP requests are very less and if you avoid using Google fonts results will be much better than this. The scores mentioned above is obtained without using any optimization method or compression technology. To achieve better results you can check “How to reduce loading time of your blog”. Another good thing about this theme is issue free responsive design looks great on mobile devices. The menu bar turns into an app like sidebar on smartphones along with social icons. Unfortunately, no schema.org tags are included as an SEO feature, but you can install a plugin that does it automatically. The theme is fully compatible with all leading SEO plugins available. As a bonus, the developers have included WooCommerce compatibility and Mega Menu option.Mega Menu option. With the Mega Menu option, you can turn the conventional WordPress menu into an interactive dynamic showcase of articles like Mashable. Most of the free WordPress themes doesn’t come with proper support, and the only way to get a fix is through the community forum. But in the case of Skin Theme the experience is entirely different as the developers reply to queries directly in Github and forum generally within 48-72 hours. This kind of work is a good sign for the WordPress community. Newbie bloggers looking for a good theme most of the time go for a nulled version of paid theme having no idea about the side effect. For them, it’s the best thing you can get for free. Hope the developers will keep this project alive with regular updates & bug fixes. 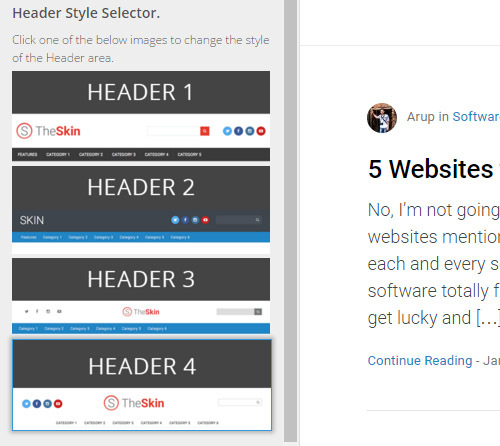 Thanks for the informative article on the reviews of Skin WordPress Themes as i was searching for the theme for my new blog and your article ended my search by giving me the option of Skin wordpress theme.